Sure its fun to watch the sun rise at one of Rocky Mountain National Park gorgeous lakes. But if you look even in the more subtle areas of Rocky Mountain National Park you can find beauty. 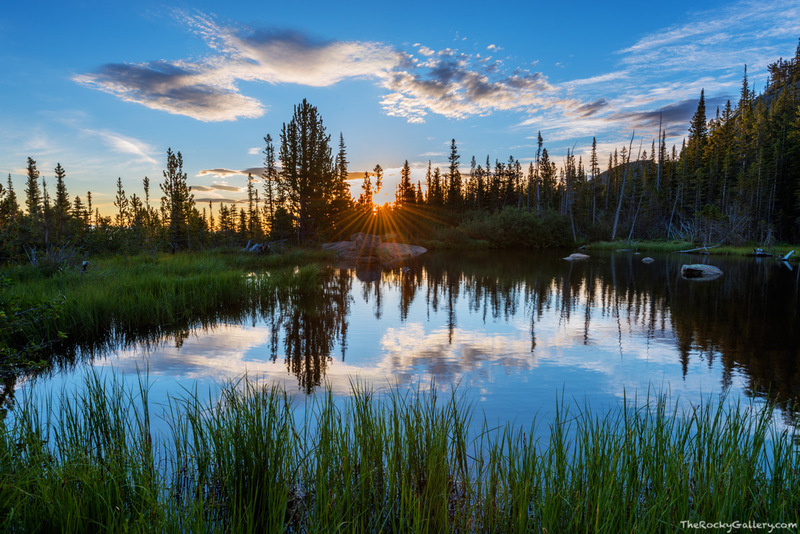 This small tarn situated between Glacier Gorge and Bear Lake though small and unamed, provided a vantage point to watch the sun rise over Rocky. Photo © copyright by Thomas Mangan.